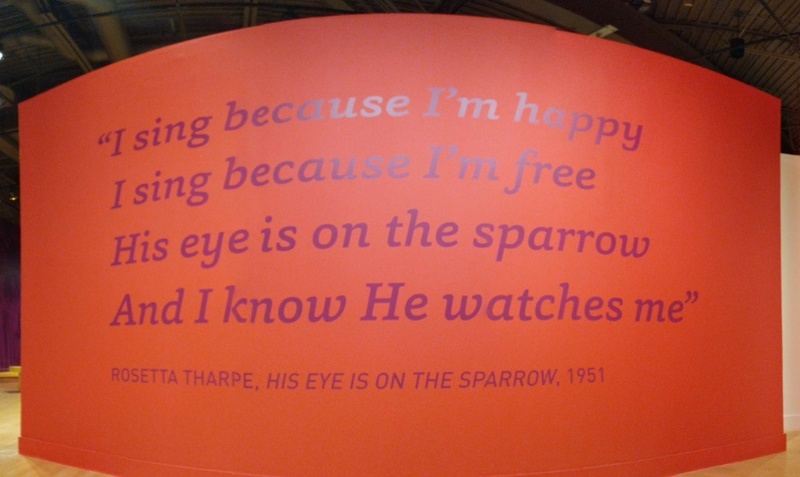 At the new exhibit, "How Sweet the Sound," at the California African American Museum, patrons are greeted with this verse from the traditional gospel song, "His Eye is on the Sparrow." Gospel music sprouted from the pews and pulpits of African American churches in the South. But gospel music also shaped Los Angeles and L.A. shaped gospel, as featured in the new California African American Museum exhibit, "How Sweet the Sound." "Especially when you get to the 1960s and '70s, people are very conscientious of the commercialization of gospel music," says historian Daniel Walker from the USC Center for Religion and Civic Culture, who collaborated on the exhibit. 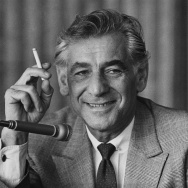 "The history of gospel music is that it goes through these changes about every 30 years where it sounds too commercial, too R&B, and then somebody else rejects it." A copy of the hymnal "Gospel Pearls," ca. 1920s, on display at "How Sweet the Sound" at the California African American Museum. "From it, the term 'gospel music' was coined and adopted by black churches because of its dissemination," says curator Tyree Boyd-Pates. 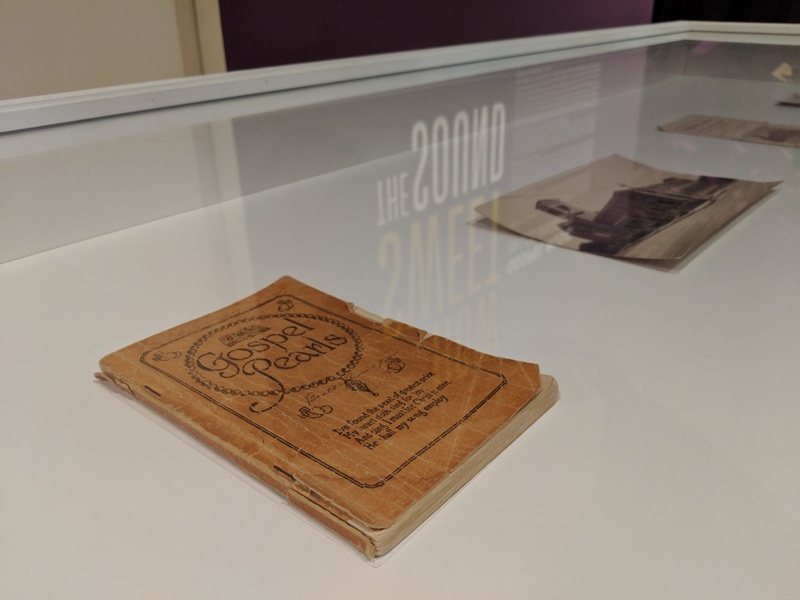 The exhibition showcases the very beginnings of the genre with a small hymnal dated to the 1920s, "Gospel Pearls," which is the National Baptist Convention songbook. "From it, the term 'gospel music' was coined and adopted by black churches because of its dissemination," says Tyree Boyd-Pates, exhibition curator and program manager at the museum. But also on display is the album, "Amazing Grace," a live album by Aretha Franklin recorded at L.A.'s New Temple Missionary Baptist Church in 1972. 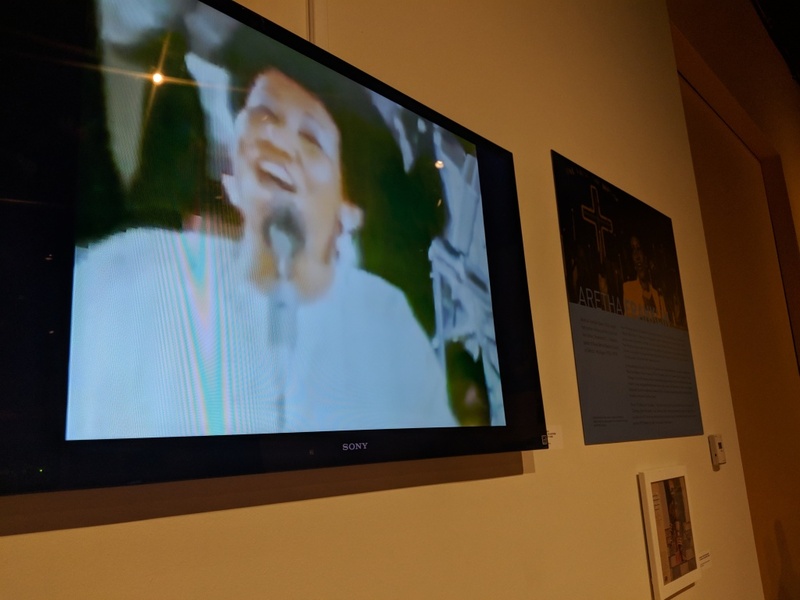 A loop of Aretha Franklin singing "Amazing Grace" plays at the exhibit "How Sweet the Sound," on display at the California African American Museum. "It was just local African Americans in South Los Angeles who were sitting in the pews and were sitting behind her," Boyd-Pates says. "It literally catapulted not only her career, but a genre that everyone had been participating in for decades." It remains the bestselling disc of her career and the highest-selling live gospel album of all time, and demonstrates the power of the genre in pop culture. "The issue of commercialization," Walker says, "was always seen as a means of spreading the gospel." While L.A.'s burgeoning music scene may have put a secular twang on gospel, it allowed the luminaries from that world, such as Franklin, Sam Cooke and James Cleveland, to collaborate and amplify their reach. 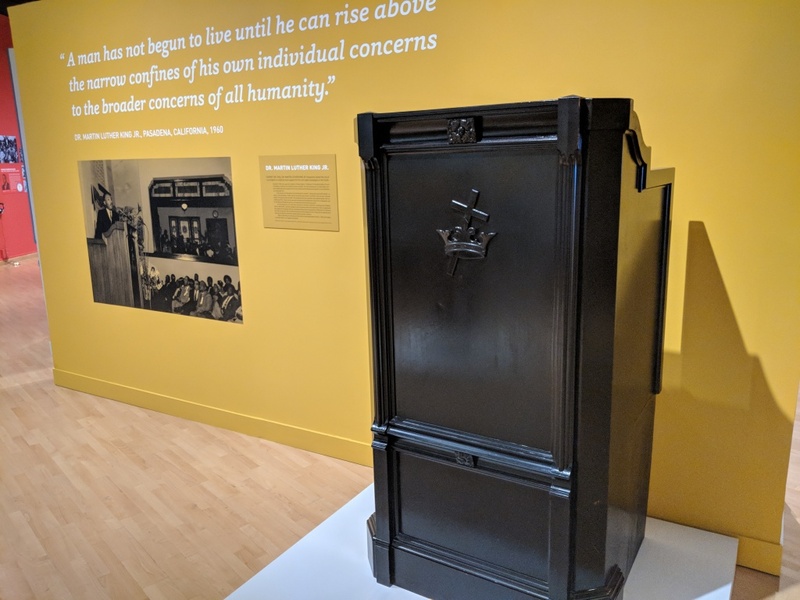 This pulpit is taken from Friendship Baptist Church in Pasadena, and is currently on display at the exhibit "How Sweet the Sound," at the California African American Museum. From this pulpit, Martin Luther King, Jr. addressed the congregation three times throughout his career. Gospel is still alive in L.A., and not just in black churches and not just on Sundays. "My son is a serious gospel singer, but he's director of a gospel choir at Wilson High School in Long Beach," Walker says. "If there's 20 kids in the choir, only about four or five of them are African-American. 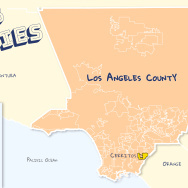 They're Filipino, they're Cambodian, they're Mexican, they're Anglo, and they're all singing gospel." 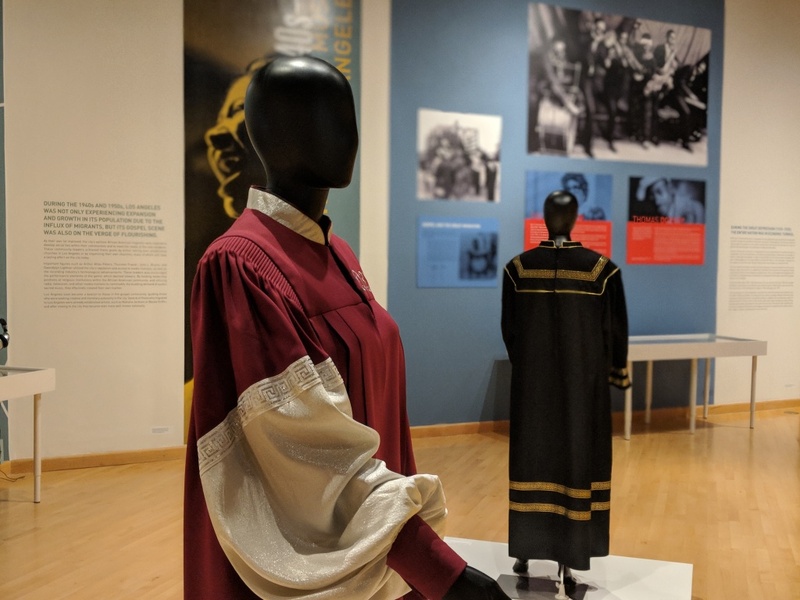 Traditional gospel choir robes on display at the exhibit, "How Sweet the Sound," at the California African American Museum.